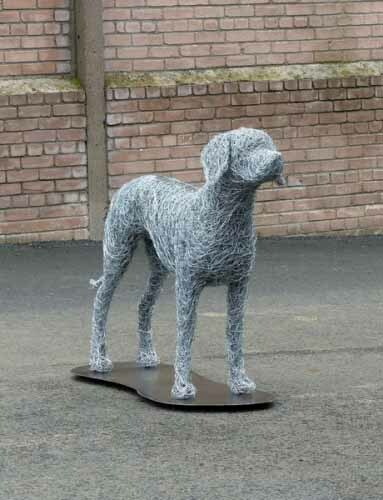 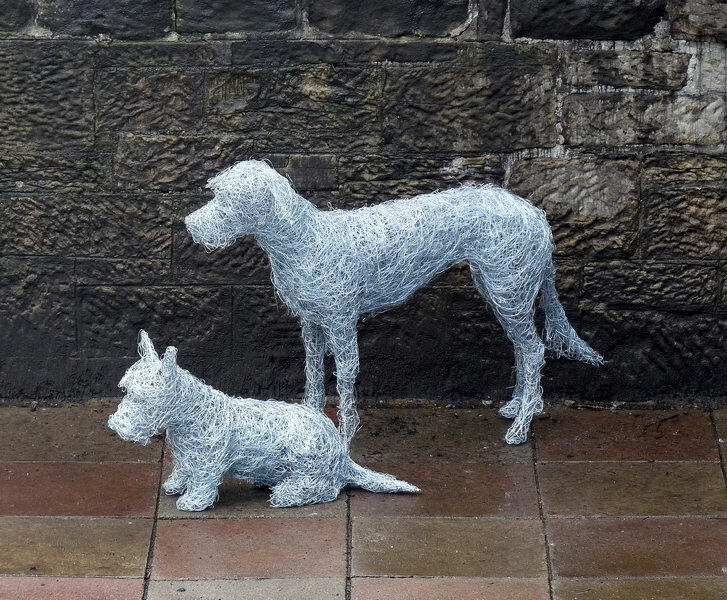 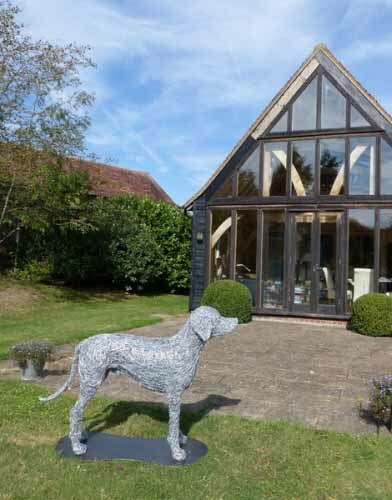 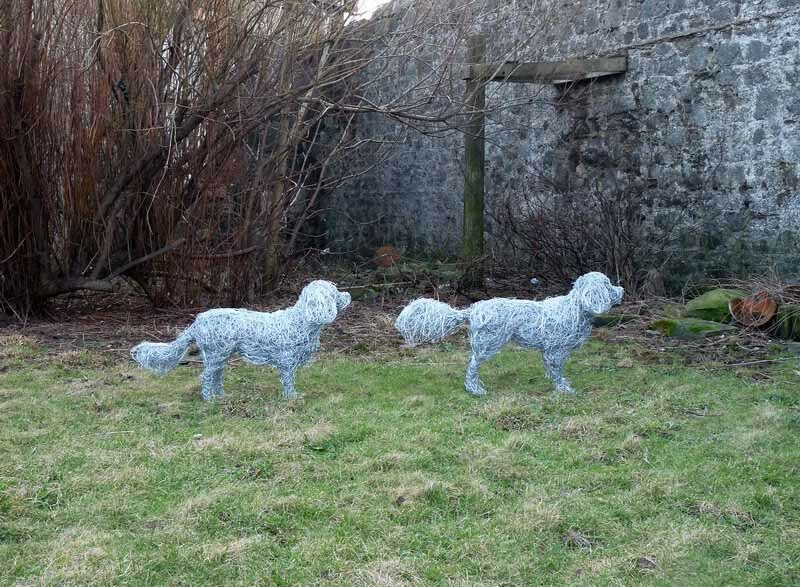 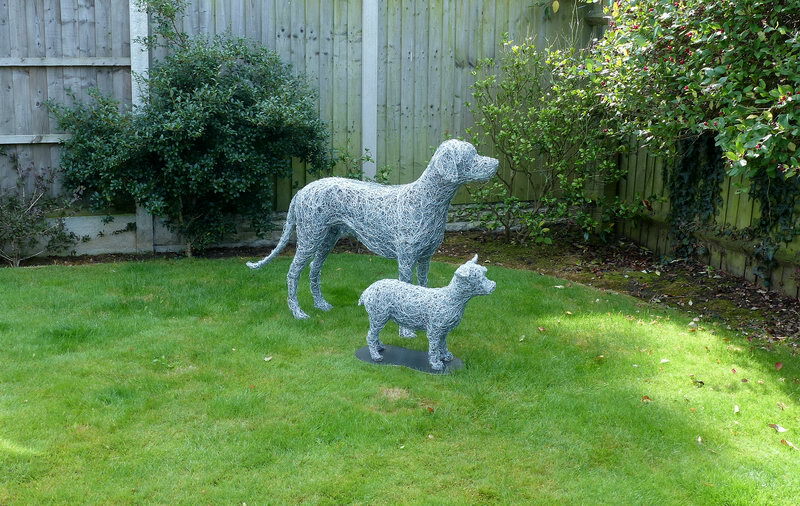 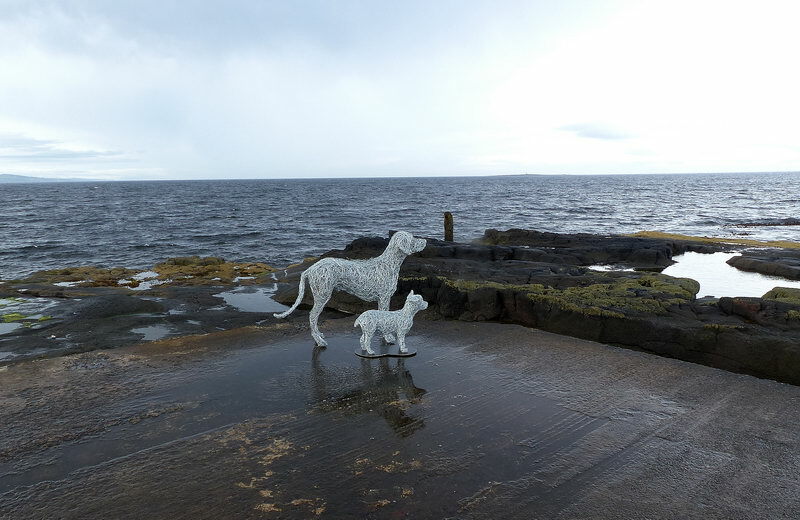 Wire dog sculptures for your home and garden in galvanised steel, bronze or copper wire, commissioned pet portraits of dogs in wire. 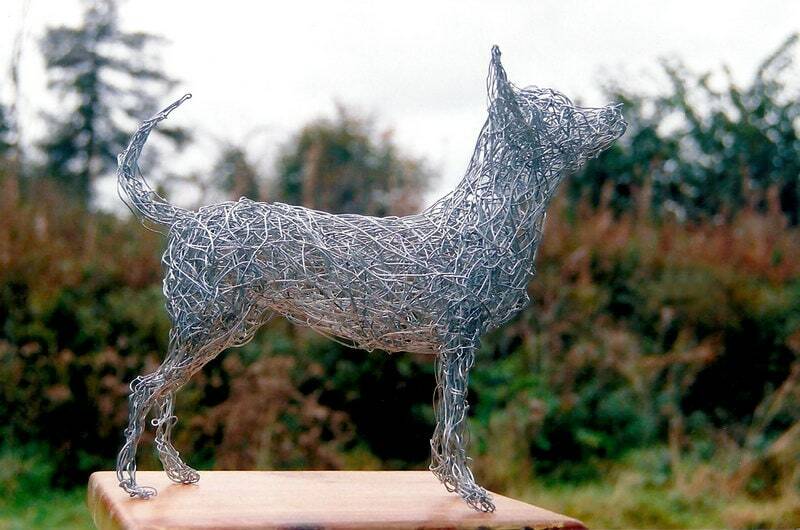 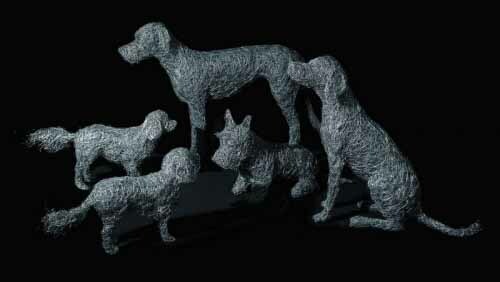 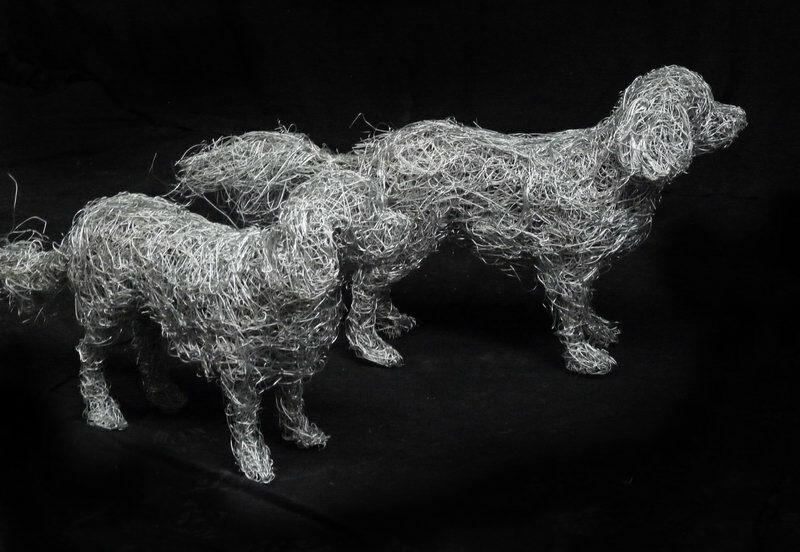 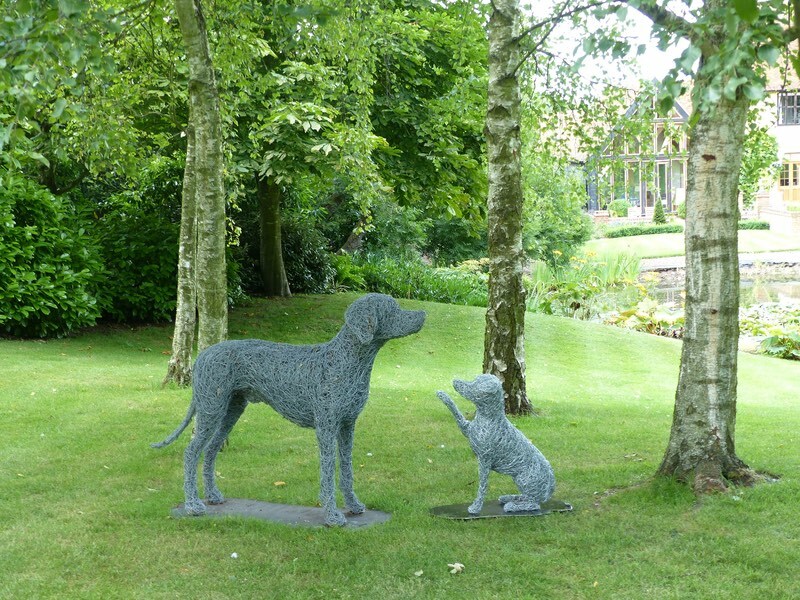 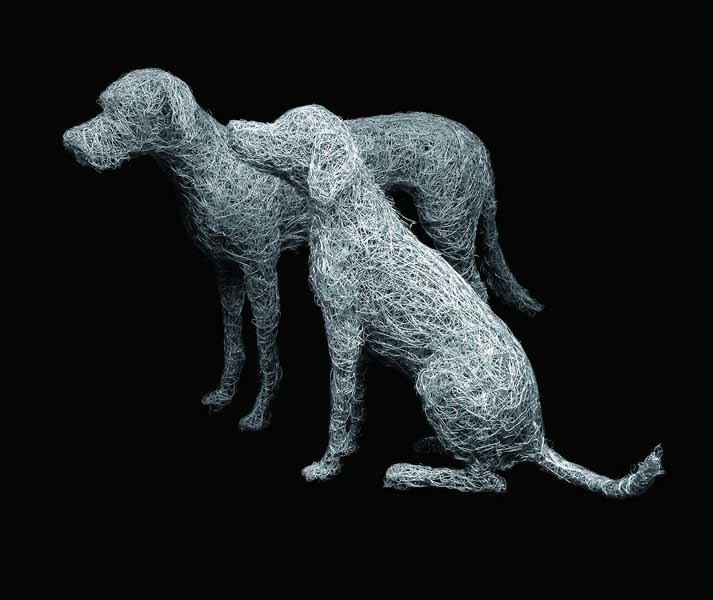 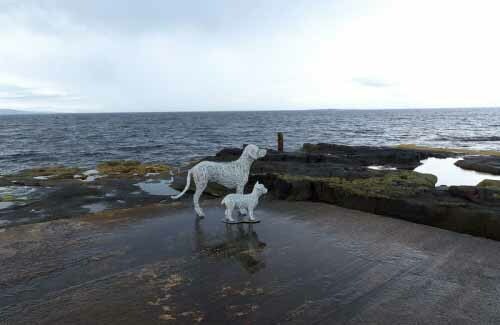 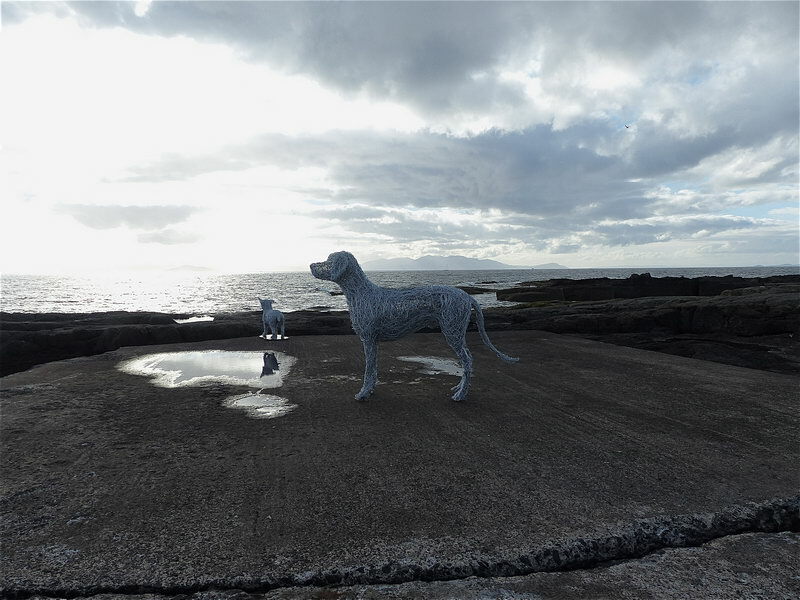 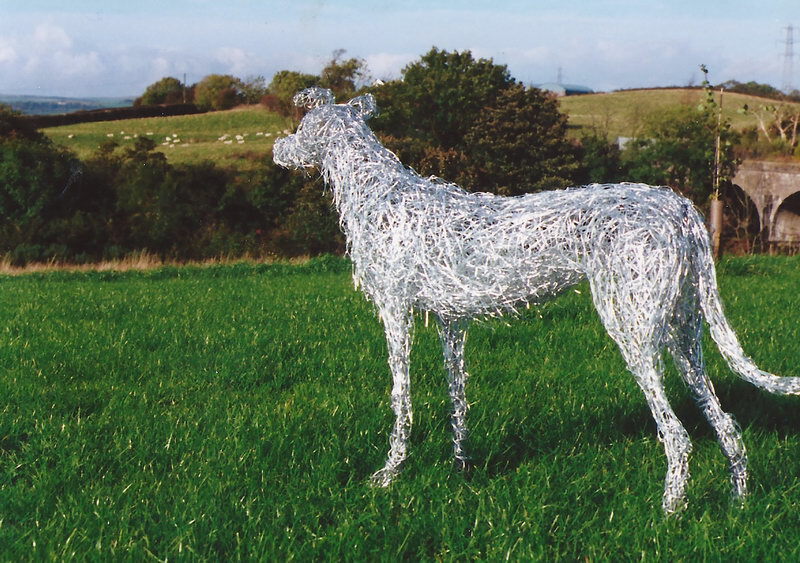 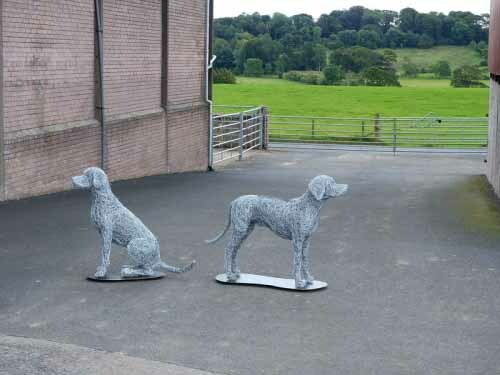 A collection of canine sculptures created from galvanised steel, copper and bronze wire. 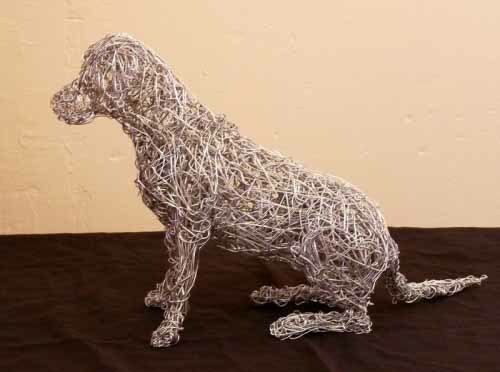 Commissioned pet portraits, wire dog portraits. Laura’s wire dog sculptures are original artworks created directly from life and from memory using galvanised steel wire, bronze wire, copper wire and recycled materials. 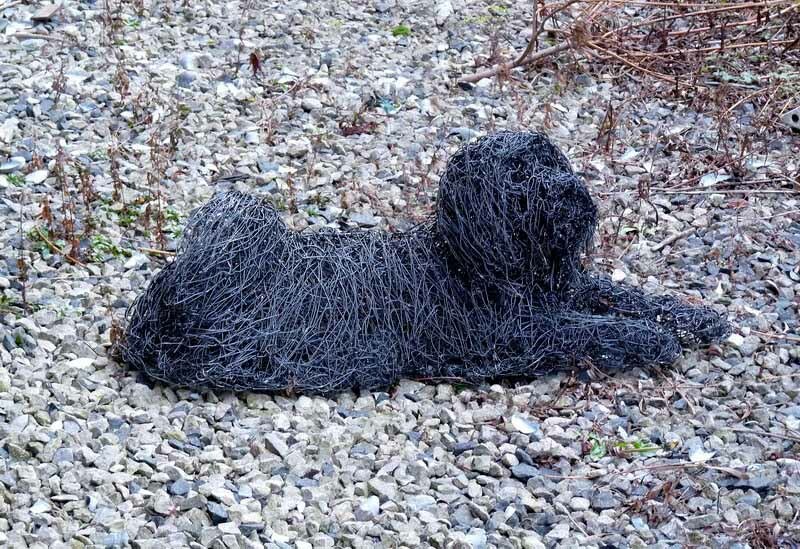 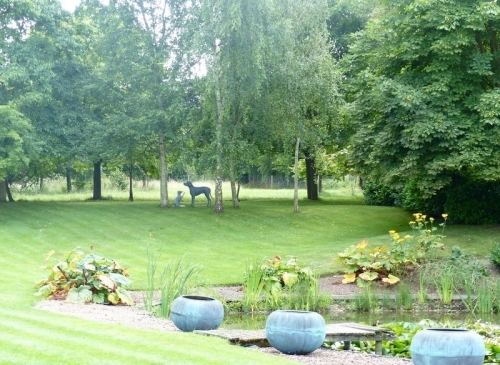 A best friend, assistant and companion to so many, the dog’s intelligence, sensitivity and character offers so much bounty as a subject for sculpture. 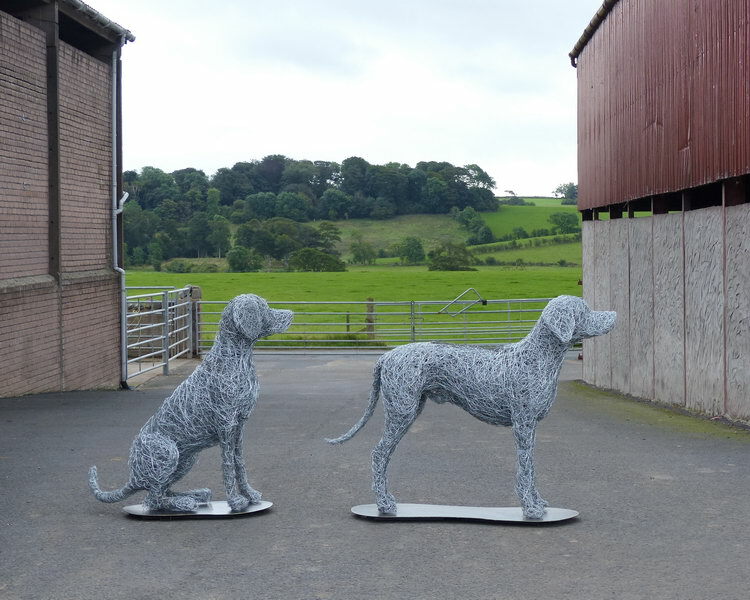 Please click on the images below to see a pair of King Charles Spaniels or visit the testimonials page to find out more about the process.